These are a few of my recent projects. 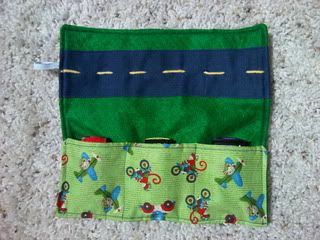 I made them for my cutie nephew for his second birthday. The first is a Superman cape with his initial. 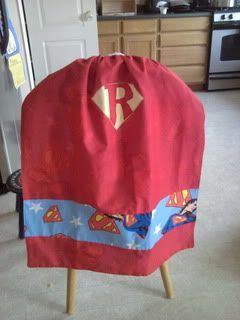 My boys love capes so I hope he enjoys it. The other gift is a mini car roll. It was fun and easy and he really liked it. 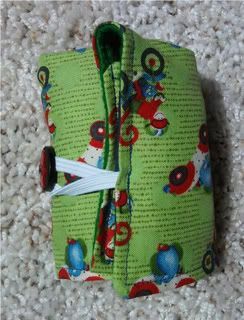 It's the perfect size to keep in the diaper bag for trips and church. My boys have all requested car rolls lol. And I plan to make some, as soon as I get some time. This last week has been hard with a nice little cold passing through the family. The babies have been all stuffy and fussy, and sleeping worse than normal. So I don't have a lot of free time during the day and not a lot of time after Hubby gets home since then we need to work on housework and yardwork and stuff. We finally got the garden planted and Hubby gets to mow the lawn regularly (he loves yard work. If we had a bigger yard a great gift would be one of those riding toro mowers). So hobby stuff has been pushed aside for a bit. Hopefully now that the boys are out of school, and once everyone is well again, I can get those made. Those Capes are so cute! Love the cape! Car rolls are awesome. :) You're so crafty!! !